If you know me, you know I love coffee. I roast it myself, I drink quite a lot, and love to share on every outing. 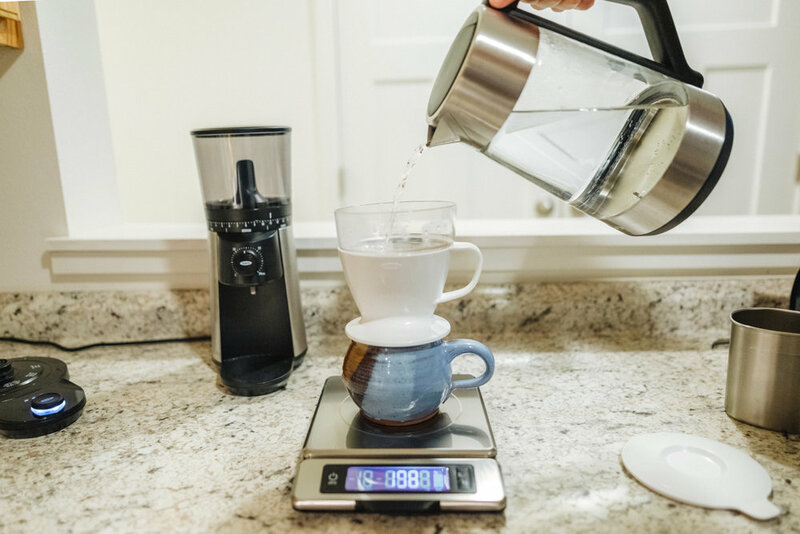 The Pour Over method is the best way to make coffee, but it takes a little longer than usual. The results are smooth, clean and flavorful. Each cup must be handmade, with several sets of pours needed to get it made. 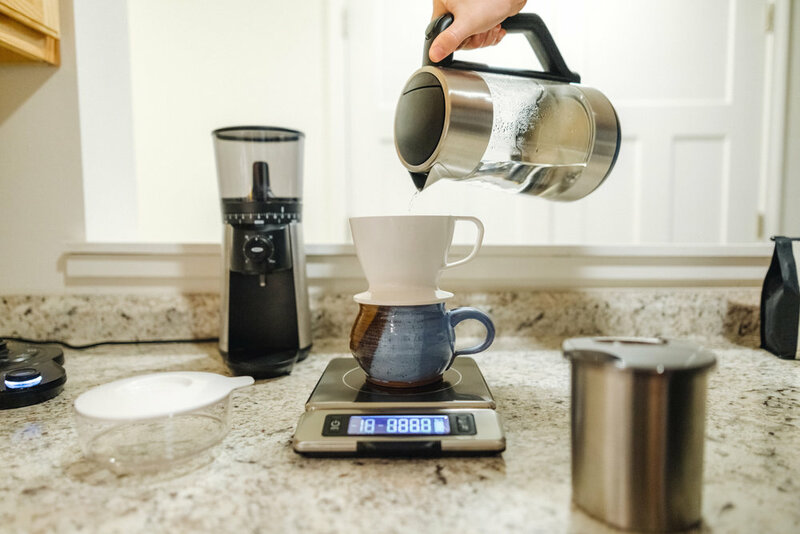 The new Pour Over Coffee Maker from OXO cuts out a lot of time by adding a water tank on top that evenly distributes water over the coffee grounds for a smooth, professional tasting cup of joe. This saves time in the morning that can be used for any number of things. Follow along this blog post and I’ll show you how to make one hell of a cup. Step 1 - Boil Water. Put 12 ounces of water in a kettle and wait for the water to boil. You’ll want to cool the water 30 seconds to reach about 200 degrees F, or if you have an adjustable temperature kettle, it will boil to the exact temperature you want. Step 2 - Grind your beans. Fresh ground beans is the way to a flavorful cup of coffee. 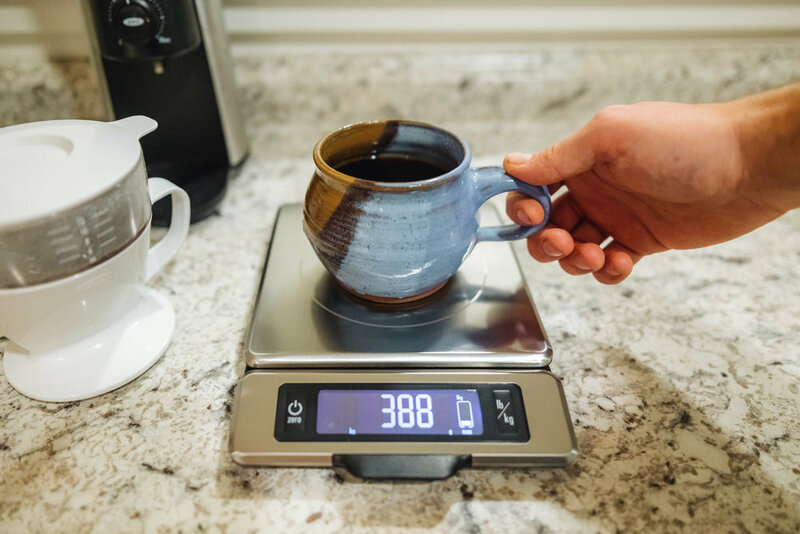 Grind your beans and and weigh out 20g of grounds for a 12oz cup of coffee. Step 3 - Filter up. Place a filter in the coffee dripper and prime the filter by adding a little bit of water to wet it. Wait for it to drain, then empty water out of the mug. Step 4 - Get going. Place the grounds in the dripper and place the water tank on top. Fill the tank to the 12oz line and wait! In a few minutes, you’ll have a damn good cup of coffee. Enjoy.